With the advent of Blu-ray disc and related technology, the data consumption has increased manifolds. This humongous increase in multimedia is all thanks to Blu-ray which made it possible to store huge data on a single disc. It is due to the huge capacity and excellent quality at an affordable price that many of the newbies now wants to start storing images and pictures in BDMV files. BDMV (Bluray disc movie information file) folders are native to Blu-ray disc that stores information and anything related to the content of the disc but does not contain the media file itself. Other than the main content, it also contains critical information which is vital for playing BDMV folder in real time. Many of the modern BDMV players can play the BDMV files without any degradation in quality. So, in order to experience the best of quality, you should save image to BDMV folder for future playing. Let's see how you can do that in the next two section of the article. 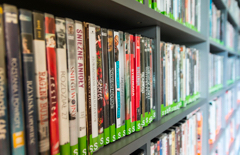 To convert Blu-ray to DVD or to simply say in a computer-friendly format, it is always best to go for the pro software that is widely acclaimed for their performance and result. 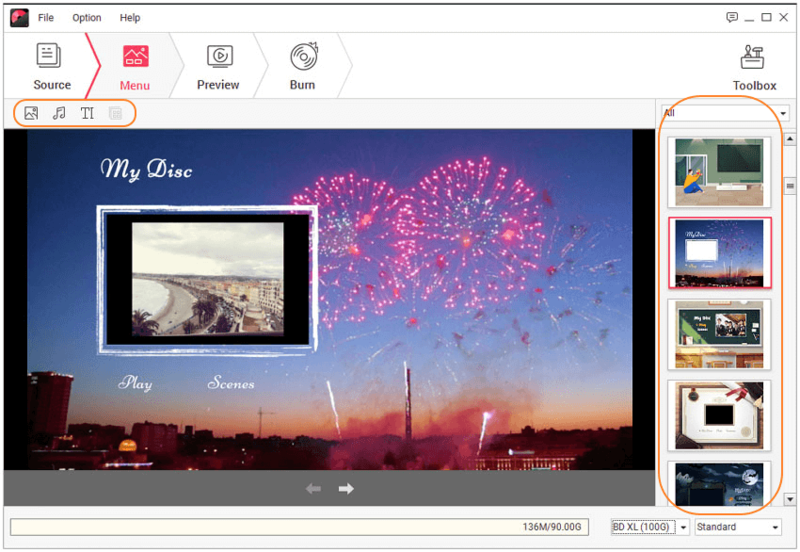 Introducing Wondershare DVD Creator, it is one of the most valuable software for the multimedia savvy guys. 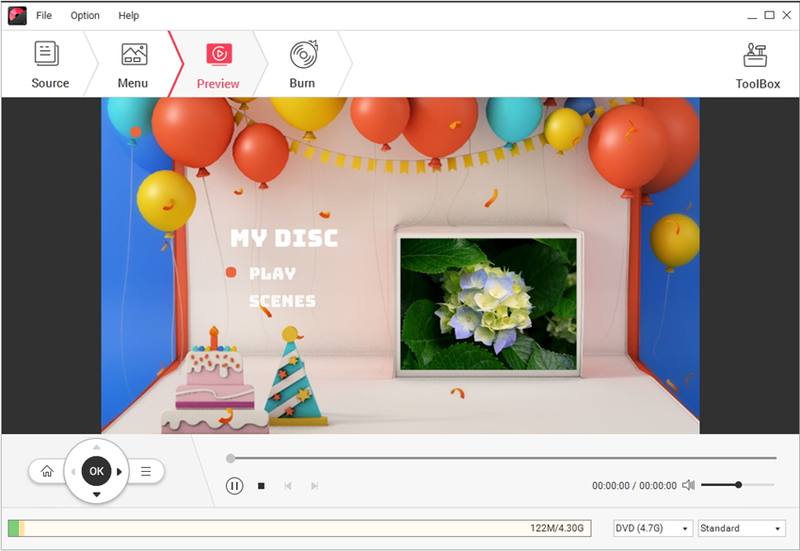 Wondershare has been the leader for all the kinds of multimedia suite application and no wonder the DVD creator is among the most used software for creating DVD and Blu-ray disc. 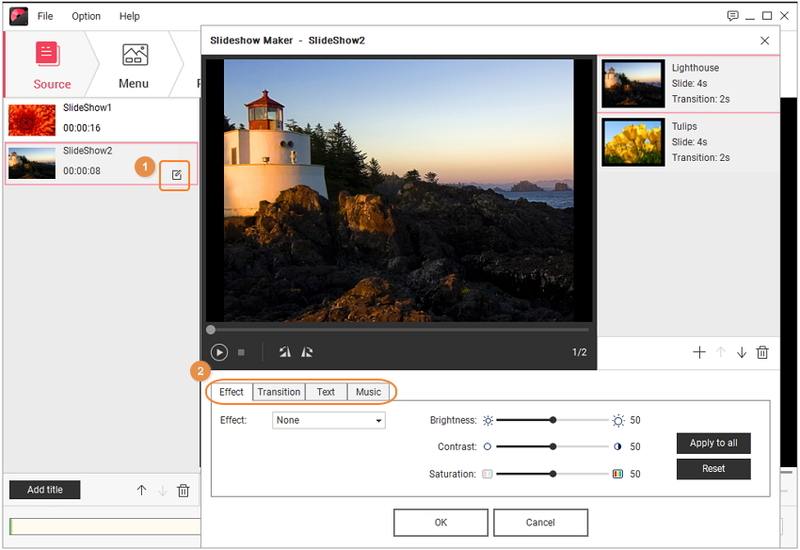 Now let us see how you can create BDMV file using the Wondershare DVD Creator. Save images to BDMV files or burn photo slideshow to Blu-ray Disc/DVD without any quality loss. Burn photo/video/audio files to data disc from phone or camera device directly. 100+ free static and dynamic DVD templates from Movie, Holiday to Family life theme. Customize DVD menu by changing background image/music, adding title/thumbnail, and more. Additional tools to create data disc, burn ISO to DVD, edit video or picture easily, convert DVD/Blu-ray disc to video, copy DVD to DVD, etc. Burn image slideshow to BDMV files/Blu-ray disc with super fast speed and high-quality output. 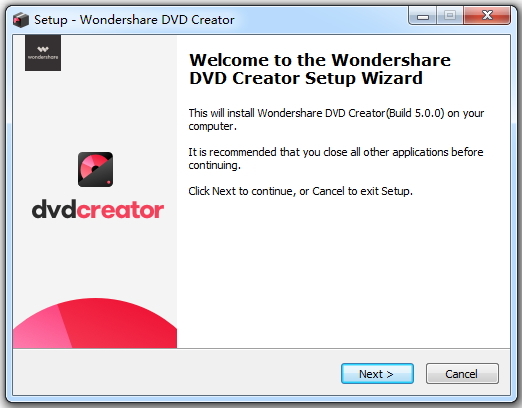 Install the Wondershare DVD Creator via the download button above. It is recommended that you get the premium package to enjoy the most of it. 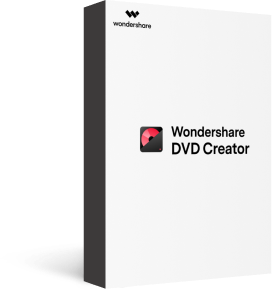 You can also get a trial version of Wondershare DVD Creator before you go for purchase. Now you will be greeted with new project menu where you get to choose 4 options. Select Create a Blu-ray(BDMV) Disc option, the first one on the right. In that way, your photos will be saved as BDMV files or burned into a Blu-ray disc. 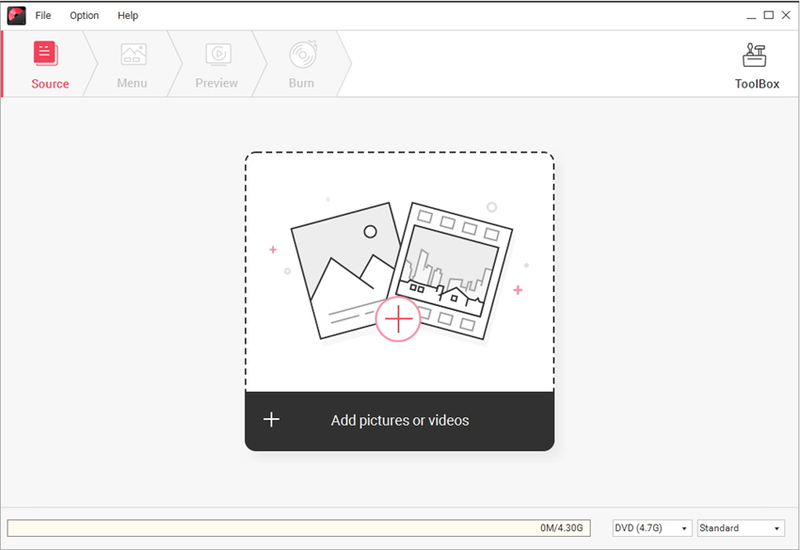 Now you will need to add desired images to the project that you would like to add to the BDMV folder. Click on the " + " button under the Source tab to search and add your desired files present on your computer. Simply drag and drop pictures to the interface is also supported. The added files will be displayed as thumbnail on the left column. You can edit individual slides format, add effect/text, change the brightness/contrast/saturation, and set music/transition by clicking on the pencil-like icon on the thumbnail. A pop-up window will appear which gives you all the customization you need. Move to the Menu tab to select a menu template for your BDMV Folder files. A good menu makes it easy for viewers to digest the content of the disc. Choose from 100+ templates provided by Wondershare DVD Creator, hit the download icon to get more designs. You can customize your menu further with music, picture, text and more by clicking the icons at the top of the menu window. Preview gives you an overall idea of how things are going to roll out, once it is burned into a disc. To access the preview state, click on the Preview tab on the top ribbon. If you find something not satisfied, just back to the previous tabs to make changes. Preview only shows how the overall presentation will look once it is loaded on the disc. It is important to note that it does not represent the actual quality. The actual quality of the file is far better than represented. Click on the Burn tab on the top ribbon to enter the burn stage. Here you can either directly burn the content to the Blu-ray disc or you can just save the file as BDMV folder to play it later on your Blu-ray media. To finalize the process, click on the Burn button. After getting your BDMV folder ready with you now let us see how to play BDMV. There are many great players that are available in the market that can play the BDMV folder directly like the Mac goes Windows Blu-ray Player. You can use this to play the BDMV folder directly by drag – and – drop or by selecting the folder from inside menu. In an alternative manner, you can also convert BDMV to MKV so that you can play the folder in the native format and use your favorite video playback suite app to enjoy your newly created BDMV folder. Many great converters like Wondershare Video Converter Ultimate are available to handle the jobs beautifully. Step 1 First you need to download and install the player on your system. Step 2 Now, you need to upload BDMV folder to the Player by either drag/drop facility or else using the Open disc option directly upload BDMV files to the player. Here select the folder from your PC. Step 3 After files get loaded, at screen bottom you will see the play button, use that to play directly the BDMV files on your PC. Saving your hard-earned image to BDMV folder has never been this easy. Thanks to Wondershare DVD Creator and other multimedia suite, it is now easy not only to create your own BDMV folder but also to convert it to a suitable format using different BDMV file converter and enjoy the same quality across different media and platforms.